In their startling new book, Steven and Evan Strong challenge the �out-of-Africa� theory. Based on fresh examination of both the DNA and archeological evidence, they conclude that modern humans originated from Australia, not Africa. 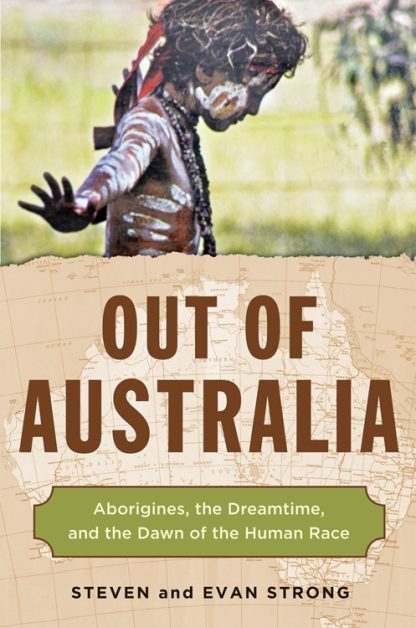 The original Australians (referred to by some as Aborigines ), like so many indigenous peoples, are portrayed as �backward� and �primitive.� Yet, as the Strongs demonstrate, original Australians had a rich culture, which may have sown the first seeds of spirituality in the world. They had the technology to make international seafaring voyages and have left traces in the Americas and possibly Japan, Southern India, Egypt, and elsewhere. They practiced brain surgery, invented the first hand tools, and had knowledge of penicillin. There is evidence that humans existed in Australia 40,000 years before they existed in Australia. There were migrations of original Australians in large boats throughout the Indian/Pacific rim. Three distinct kinds of Homo sapiens are found in Australia. There is evidence from the Americas that debunks the out-of-Africa theory. The spiritual influence of the Aborigines is reflected in the religions of the world. Steven Strong is a secondary school teacher with a background in Aboriginal archaeology and education. He co-wrote two units of the Master of Aboriginal Studies program for Sydney University and the New South Wales Department of Education. Evan Strong has bachelor of social science degree with majors in psychology/archaeology-anthropology/sociology and counseling.